Pediatric dentistry is quite different than general dentistry. Infants, toddlers, pre-teens, and teenagers require different care that is tailored to their unique personalities and behaviors. Dr. Radin, Dr. Levine and their staff customize care to every patient, enabling them to form strong relationships with both you and your child. By doing so, Growing Smiles in Floral Vale creates a welcoming environment that guides your child’s dental growth and development while helping avoid future dental problems. 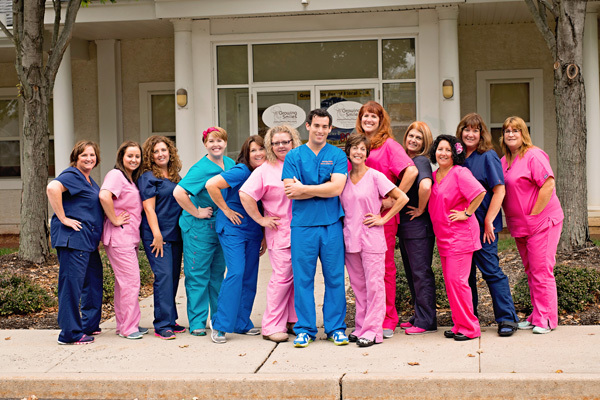 Our team offers an unparalleled dental experience as we treat every child like our own. We understand that a child’s dental visit is extremely important, and our goal is to create a positive experience from the moment you walk into our office. Children will have time to play in our beautiful, newly renovated office that features a tree-house theme with a slide, toys, books and X-Box video games in our waiting room. We hope to see you soon at Growing Smiles in Floral Vale!